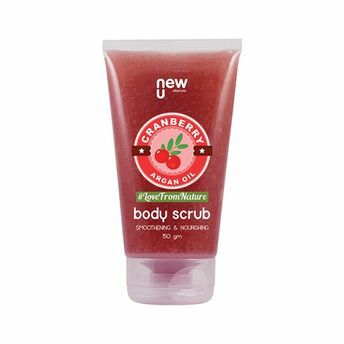 NewU Cranberry & Argan Oil Scrub offers perfect exfoliation for the entire body. A unique blend of nourishing Argan Oil and brightening Cranberry Seed Powder helps cleanse skin thoroughly without drying it. Regular usage of the scrub rejuvenates your skin and makes you feel fresh. Explore the entire range of Bath Scrubs available on Nykaa. Shop more NewU products here.You can browse through the complete world of NewU Bath Scrubs .